Going to Thailand to train isn’t easy, more so for foreigners who’re sure to leave their jobs, some of which are lucrative, behind. While saving up money is your first instinct, it’s hard to save enough money to last for as long as you’re planning in Thailand. Even harder is to prepare for any emergency expenses that’re likely to come up, as well to prepare for any chances of you extending your stay (which does happen quite a lot). 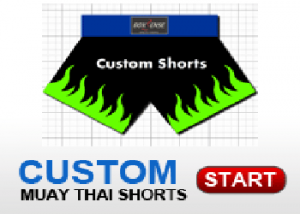 To help you, here are six tips that can help you find ways to find extra money as you train Muay Thai in Thailand. The first time you came to Thailand, you probably brought with you an assortment of things that you thought you’d need. Many months later, you’ll probably find some of those things just lying around, unused. List down such things and decide whether they can fetch for quite a nice price, or if you’re just better off keeping them. Chances are, you’ll be able to declutter enough stuff to sell for a suitable amount of money to last you for quite some time. Before you go to Thailand, it’s best to consider not to let anyone “babysit” your home for you. But, instead, have it rented. Chances are, your training will last for a long time and you could use the money from the rent to fund your lifestyle in Thailand. Fix your place up a bit, and make it ready for renting. Then, once it’s ready, put the word out via your family, friends and through social media. Facebook, in particular, has numerous groups specifically for people who’re looking to rent homes and apartments. 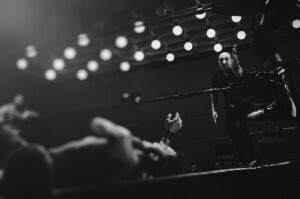 If you’re renting a particularly spacious apartment, you may want to consider renting an extra bed or bedroom to help fund your Muay Thai training. The arrangement can be long-term or short-term, depending on what your situation is, and chances are, it won’t be too hard to find someone to rent out the extra bed space in the house or apartment you’re renting. Put the word out, especially in the gym, as one of the other students in your class may be looking for somewhere cheaper to rent. Whether it’s a garage, a barn or a land that you won’t be making use of once you’re away, chances are, you can rent it out and someone will be interested in it. Just make sure that you research the necessary insurance and contract conditions for where you live so as to avoid legal problems in the long run. Since your training is going to take up much of your time, you most likely won’t have as much energy nor time to work full-time. Even when you do, it won’t likely come after your first few months of training, where you’ll most likely spend the rest of your day resting from all your cuts and bruises. “Hustling” is a word used to describe looking for ways to make money, often in ways that don’t involve working full-time. DJing, working security at a club, and even looking for a full-time job if your time and energy allows for it can go a long way in helping you secure your financial needs as you train. Another thing that you can do is to freelance and “rent out” your skills and services that other people can make use of on a per project basis. For example, if you bought with you a rather large vehicle for your training in Thailand, you can help people move for a cheaper price than hiring a moving company. If your skill set involves bookkeeping, administration, graphic design, coding, blogging, data entry and more, you can also try checking out sites such as Upwork, where lots of freelancers have found financial freedom and success. Keep the list in mind and try to figure out what works best for you. Sooner or later, you should find yourself gaining some ground and some money to help finance your Muay Thai training.